Accused of drunk driving? You deserve to have a skilled attorney in your corner. At Boise Advocate, we have handled more than 3,000 criminal cases throughout our legal careers. Backed by more than two decades of legal experience, we are heavyweights in the courtroom. You can trust us to protect your rights. Call us today at (208) 391-2057. Our law firm has proven time and time again that we can be trusted to protect the legal rights of our innocent clients. If you or someone you love are facing serious criminal charges, you donâ€™t have a moment to lose. Call us today to schedule your free case review. Attorney Rick Thomas is the son of a Gem County Sheriff Deputy and a native to the state of Idaho. Throughout his legal career, he has handled more than 1,500 criminal cases, including more than 250 non-jury trials and 40 jury trials. He also has prior experience as a Felony Prosecutor at the 13th Judicial Circuit in Ada County. Attorney Jill Scott is the daughter of a retired Air Force Major General and former Ada County Commissioner. As a criminal defense lawyer, she has handled more than 1,000 criminal cases, including 100 non-jury trials and 30 jury trials. She previously worked as a Prosecutor at the 3rd Judicial Court in Nampa Idaho. A person who has been convicted of driving under the influence in Idaho will face a variety of severe legal consequences. After a person has been charged with or arrested for DUI, it is imperative that they consult a skilled attorney. 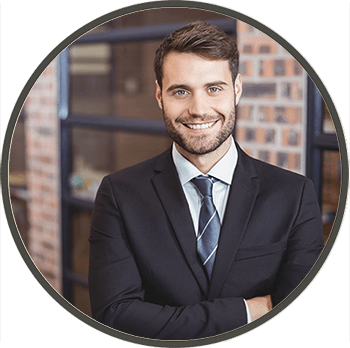 A local defense lawyer can get involved from the onset of the legal process and provide insight and direction as the person's case progresses. Additionally, an attorney can negotiate with judges and prosecutors to possibly have the person's criminal charges reducedâ€”or, in some cases, dismissed entirely. A person who has been arrested for a DUI needs to weigh their options in challenging these criminal charges. You may feel that you have little to no chance of avoiding a conviction, but this does not have to be the case. Just because you were arrested does not mean that you should be found guilty. A skilled criminal lawyer can help you fight drunk driving charges to help you avoid a conviction and even save your license from suspension by the Department of Highway Safety and Motor Vehicles (DHSMV). When you work with our Boise firm, we provide a two-pronged approach to your case. In addition to protecting your rights in criminal court proceedings, we will represent you interests at your DMV hearing to challenge the suspension of your license. As we handle both sides of the case, we have found that we are able to build a more effective defense. There are different approaches that we may take in challenging drunk driving charges, which may include looking at how field sobriety tests or a breath test was administered, whether an arrest was lawful, and whether the evidence against our client could hold any weight in court. At Boise Advocate, our defense attorneys have represented hundreds of clients who have been able to fight their DUI charges and obtain successful outcomes. Our lawyers are aggressive litigators who are ready to help youâ€”no matter whether this is a first offense or if you have multiple drunk driving convictions already on your record. If you would like to speak with a qualified criminal defense attorney, call today!